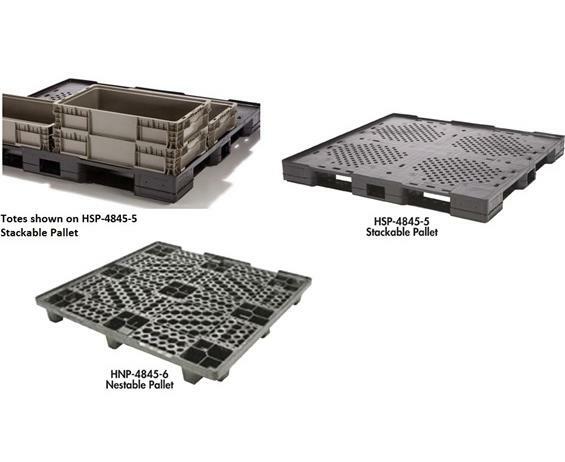 Pallets | Fredon Handling, Inc.
Nestable and stackable pallets and top caps. High pressure injection molded. Unique two-piece welded design offers increased durability and impact resistance, while adding strength and reducing weight. Pallets are Black. 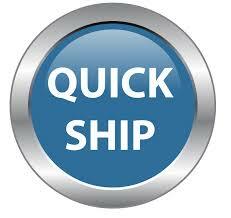 Seat Belt option available for cargo strapping with the Stackable Pallet and Top Cap only. FOB Shipping Point. Seatbelt Sets are available as an option with the Stackable Pallet and Top Cap. Includes 2 buckles and 2 retractors with a 66" long nylon belt for each. The buckles are attached to the top caps and the retractors are attached to the pallet. These come factory attached and must be ordered with the Stackable Pallet and Top Cap. 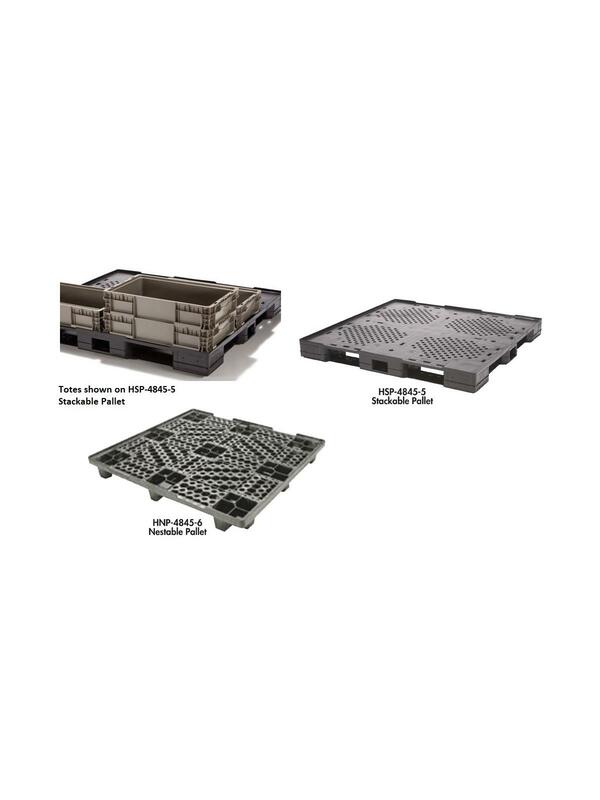 Designed to standard AIAG 48" x 45" pallet footprint. 48 x 45 x 6"48 45 6"